A drive through the leafy forest of Dunwich with it Corsican pines, birch and poplar trees brings you to the main street of this now tiny settlement of about one hundred souls. But had you travelled through time you would have seen a vastly different place, indeed in the 13th century it was the sixth most important town in England and all because of the sea, which is ironic because it was the sea and the shifting shingle that caused the demise of this once prosperous harbour with its ship-building yard and forty – plus fishing boats. 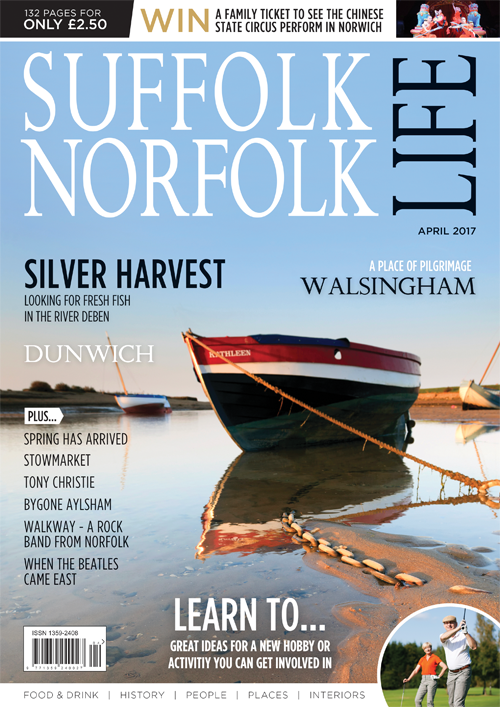 A brisk trade with the continent flowed from Dunwich – exporting wool, corn and salted fish and bringing back wine, long before anyone thought of the E.U. In one night in 1286 a great storm choked the deep navigational channels and within a few years Dunwich had dwindled. The Black Death in 1348 furthered the decline. Attempts to clear the shingle failed, and in 1589 the villagers gave up their battle. The sea had won! Coastal erosion carried houses and churches away with the tides, the last church, ‘All Saints’, finally toppling over the crumbling cliff in 1919. 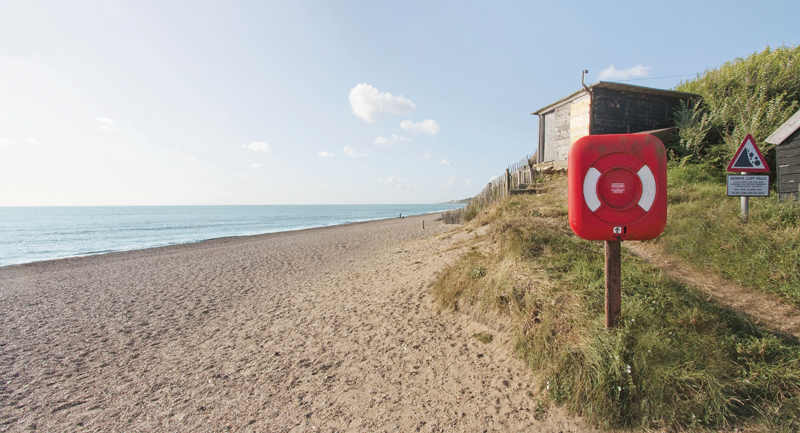 So for history lovers, Dunwich is a must for visitors to Suffolk.